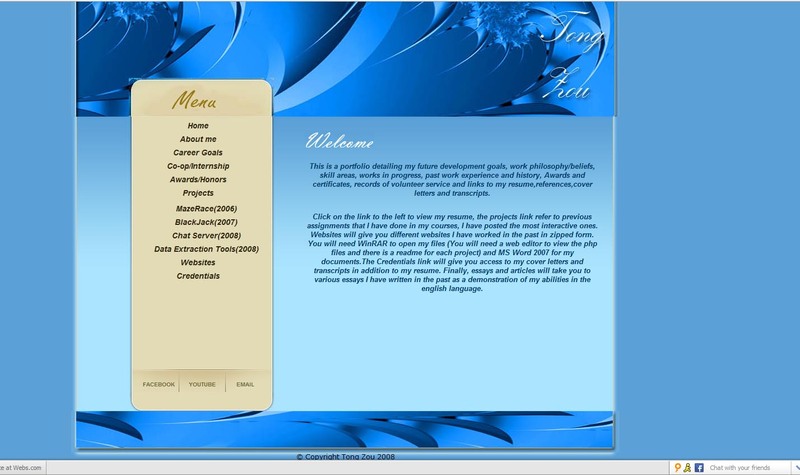 I’ve been a website designer since I was 12. The first website I designed was dedicated to Dragonball Z and was called ‘Tong Zou’s DBZ Domain’, a very typical name for a website for a 12 year old. The second website I designed was called DBZ Fantasy. It’s actually still functional, quite incredible since it was designed back in 2002. 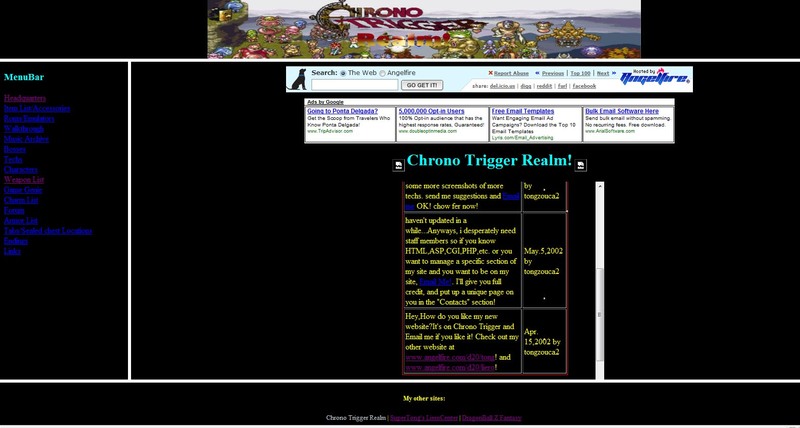 I also started other websites devoted to some of my favorite games (a DOS game called Liero and a SNES game called Chrono Trigger) as well as an anime resource site (called Japanime). I also have my previous web portfolio design below. 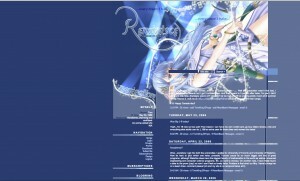 Alot of my early websites were essentially ‘shrine sites’ dedicated to something I liked. 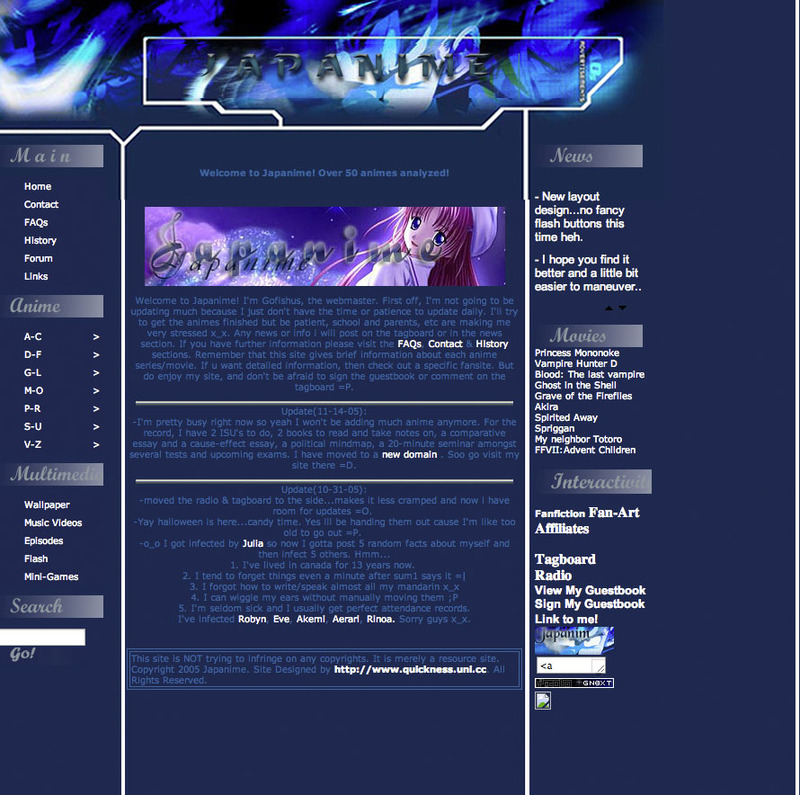 I am also an anime lover and so I created a graphics design site called Japanime which focused on providing anime resources such as history, characters and biography of over 50 animes. 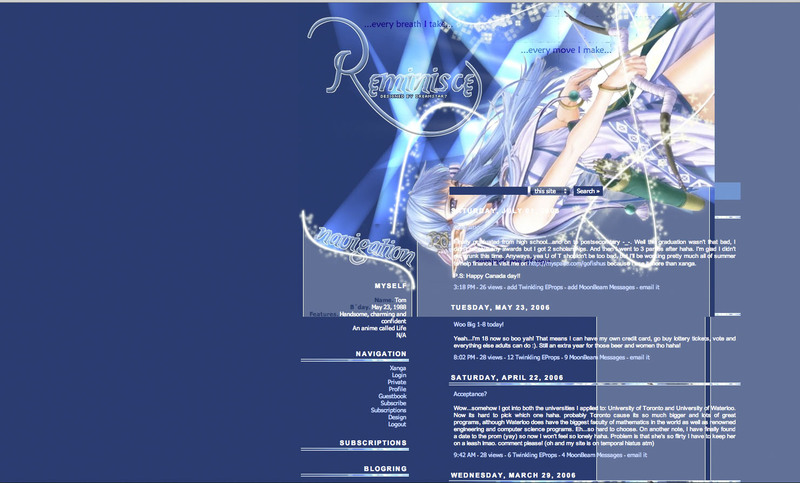 I have various screenshots that were taken and meant to display the look and feel of the website back then.